P9 is a flagship smartphone of Huawei and co-manufactured by Leica. The phone has stunning looks, exceptional camera and awesome 5.2 inch display. Since it is a premium device, the buyer doesn’t want to get the body damaged by accidental fall, scratches or dust. 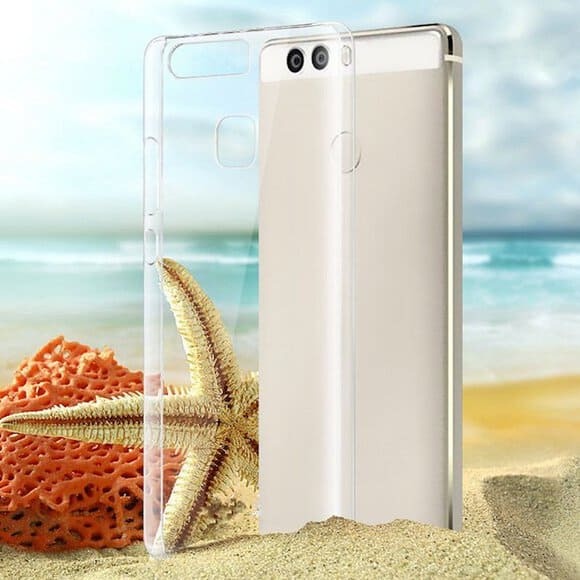 In order to prevent the beautiful features of this phone many best Huawei P9 cases available that are stylish and suits the iconic design of the phone. 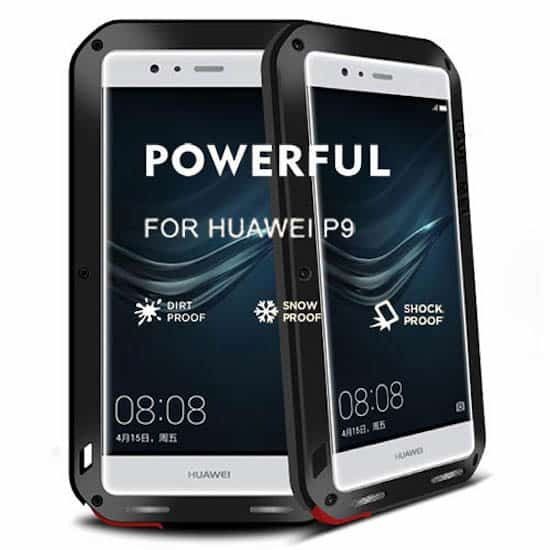 We would also like to tell our viewers that all three variants P9, P9 Plus and P9 Lite have different dimensions so make sure you do not buy a wrong Huawei case as it won’t fit the mobile. 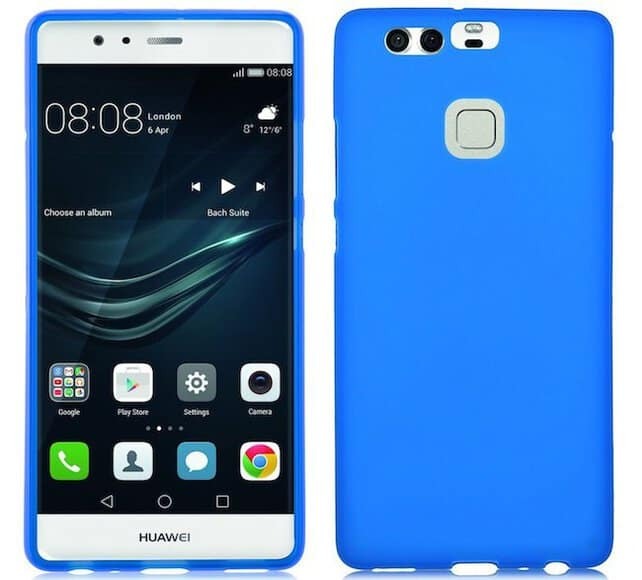 Here in this article we are going to highlight those best Huawei P9 cases that are dedicated to increase the looks of your phone and protect your device. If you are looking for a flip cover for the phone which also emerge strong build quality then this case is the right choice for you. It doesn’t offer special closure, instead it works like a book cover. 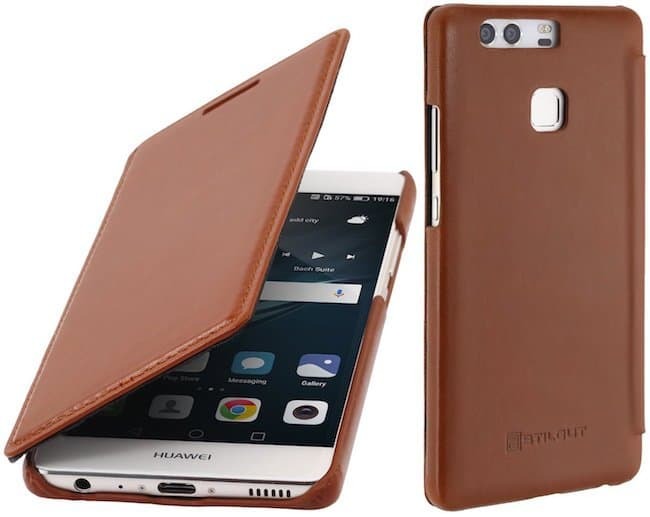 The case is built of genuine leather and has been hand crafted to suit Huawei P9. In order to protect the screen, it has a clip on the side which keeps the cover closer to the display. The case includes effective cuts to make sure that all ports, speakers and camera work usually and the user doesn’t remove the case to use any of them. The case comes with a two year warranty. The case functions exceptionally well and provides finest protection. 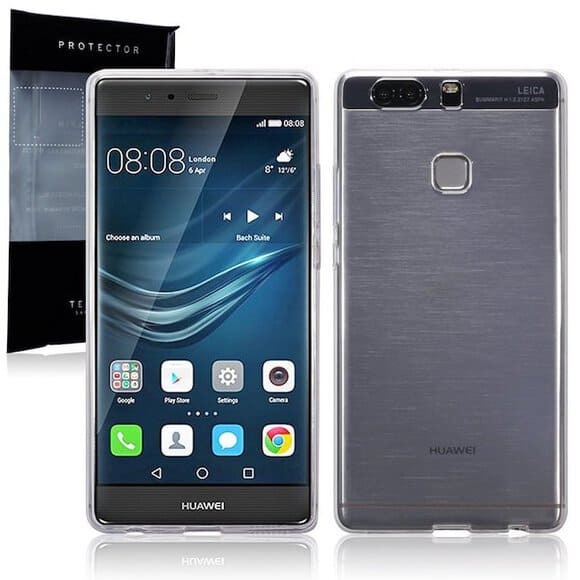 This case is water and dust resistant and specially designed to provide utmost protection for the Huawei P9. This powerful case is highly durable and consists of protective aluminium material with special structure to prevent unwanted scratches due to any accident or sudden fall. The case is deliberately designed to resist damage and features highly effective ballistic bezels, even the charging ports within the case are capable enough to keep the dust away. The case comes with removable pieces to cover headphone jack and charging port. The case is shock proof and the screen is also protected by smashes. Though, it’s a bit expensive, yet includes all the qualities that worth the price. 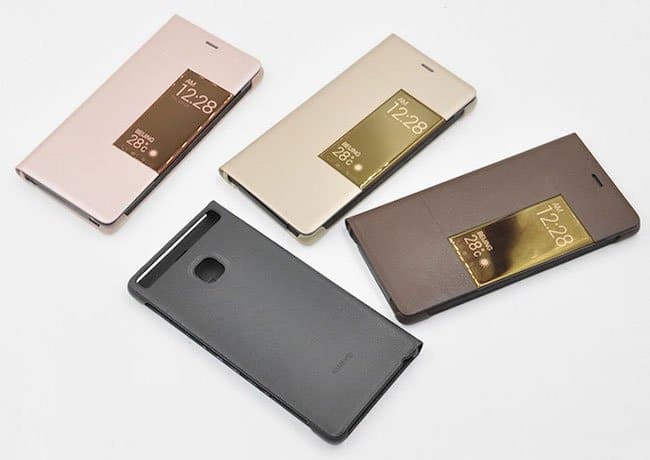 It is a unique flip case with an innovative design which stands it apart from the crowd. The case offers a smart screen display on the front of the cover which lets you check notifications, weather report, time and date on your cell phone without opening it. The case is made of durable synthetic leather and ensures the protection of your device from bumps and scratches. The case allows the user to get access to all sensors, ports and button. 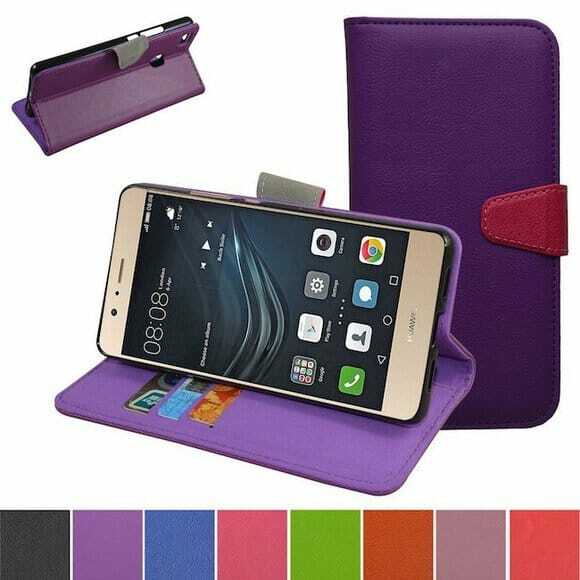 The case is specially crafted with Huawei P9 in mind and fits properly to the smartphone. This case is a perfect blend of thin body and strong outer shell. The case is capable of protecting the smartphone without making it too heavy. The case offers a sleek design with a metallic bumper frame, nicely build edges and two-tone finish. The back has a rough surface and provides a solid grip over the phone. You can access all ports, speakers and connectors without any issue, but buttons need to be pushed a bit harder as they get extra protection due to the metallic covers. The Frame allows user to use the smartphone as usual and provides satisfactory security without sub standardizing the look and feel. Spigen Rugged Armor Case combines quality and style. It has a slim profile and the look brags a glossy accents. It is smartly designed with Air Cushion Technology for shock and drop resistance. The case has raised edges to protect the screen and build with TPU. The interior is made with spider-web pattern and provides small gaps for air. Carbon fibre texture ensures the protection of your phone in any situation. 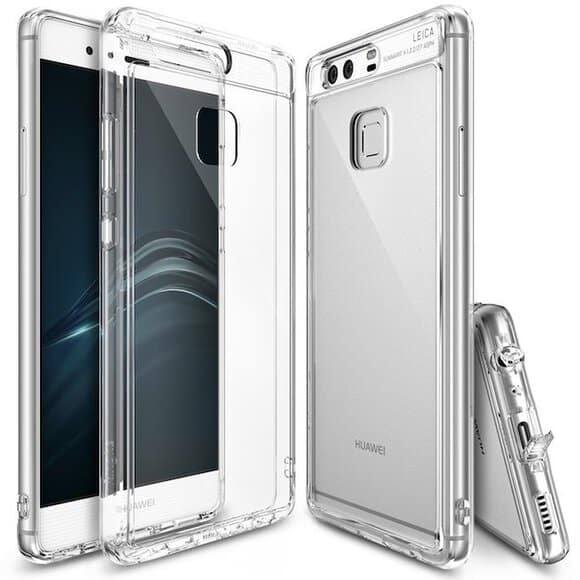 The Ringke Fusion Case is a transparent case which allows user to showcase the ultimate design of the Huawei P9. The case is built with hard plastic and boasts a slim design. The case covers the button and offers dust caps for charging port and headphone jack which can prevent dirt. The case is specifically made with Anti-Static capabilities to avoid the access of other elements. It doesn’t make your phone bulky, but provides a good amount of protection. The case is made of Premium PU leather and covers the button and the screen very well. You can watch videos and movies comfortably in landscape mode as the case packs an inbuilt stand to do so. The folio style design features 3 card slots and an inner pocket so it can be used as a wallet to keep your credit cards and cash along with the phone. The case offers a wide range of colours and look stunning. It is tear-resistant and anti dust to protect your phone from dirt and other elements. It also provides good protection from scratches and bumps. Pasonomi’s hybrid case costs you very less compared to other cases and provides safety up to a satisfactory level. The case combines stylish look and powerful protection. Its dual layer protection includes interior part made of silicone and hard outer shell. The case also features inbuilt kickstand on the rear side which provides smooth horizontal viewing. It boasts a range of colours for the outer shell and ships in gray, blue, red, gold and silver variants. It has a thin body and provides good grip with the phone in a single hand. It has perfect cutouts for ports and speakers so that user can use those options without removing the cover. The crystal clear case from Yaker is glossy and colourless. It is made of environment friendly non-toxic material. It provides a higher level of protection. It features well reserved cutouts for ports and covers buttons as well as screen genuinely. The case allows you to adjust volume rockers without any problem as it includes cutouts for them. Anti-slipping Side cover texture provides good grip over the phone in a single hand. The case looks attractive and feels a premium in hands. The case is semi-flexible and form fitted. The case has a low price tag with it and fits comfortably to the phone. The edges are raised to protect the screen from any damage caused by the surface. The case is ultra slim and made of TPU leather which makes it highly durable. 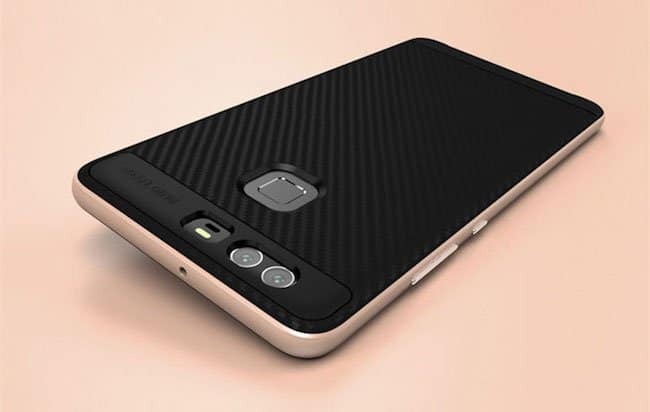 It combines a hard shell on the back and soft interior to prevent the phone from unwanted scratches and tears. VALKYRIE Runic Shield is a dual layer case that combines hard PC shell and soft TPU core to resist shock and smashes. It has a slim profile and doesn’t add much weight to your phone. The case covers button and ports stay open so that you can easily connect the charger or headphone without removing the case. 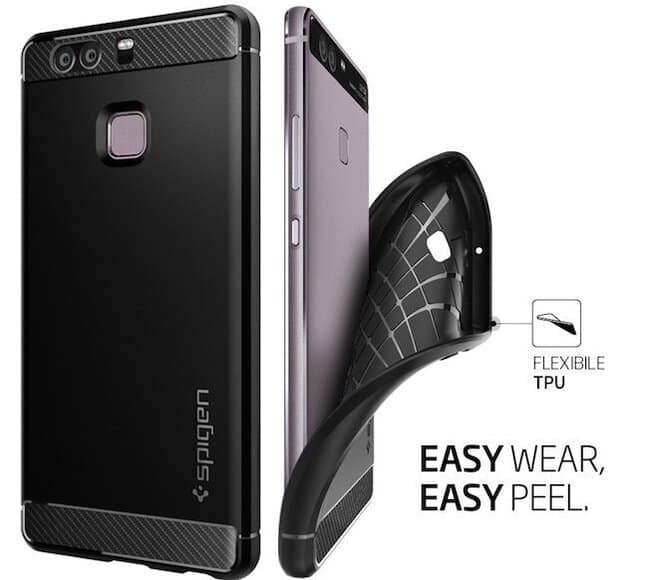 It has anti-slip finishing and provides a solid grip over the phone. The edges are raised so if you keep the phone down and face your screen towards the surface, it won’t be touched. Uncasing the phone is very simple as the case has a flexible built. 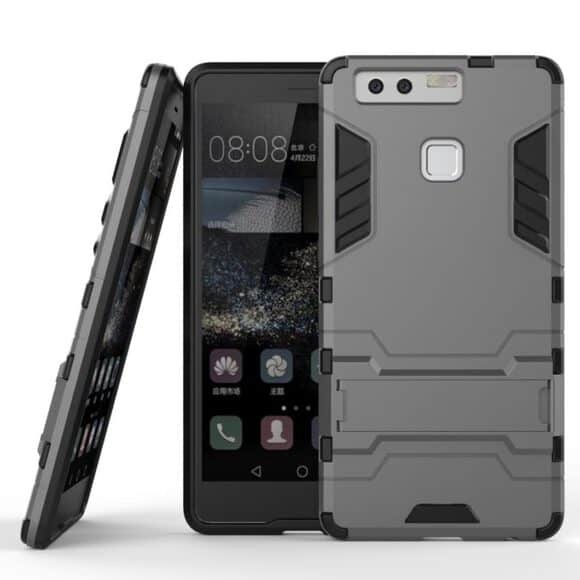 Terrapin’s case for the Huawei P9 offers a wide range of colours and has a surprisingly slim body. After covering the phone with this case the feel and look barely changes. The case is highly flexible so easy to fit and remove. It boasts slender but strong back and raised edges to protect the screen. 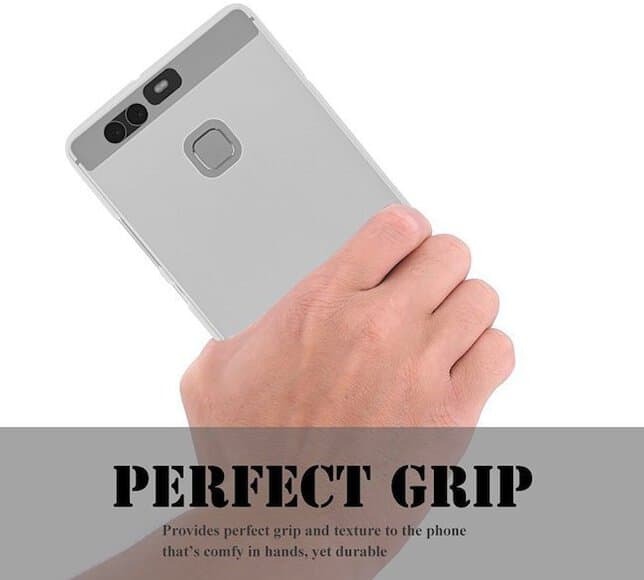 The case is built with soft TPU gel and provides good grip on P9 smartphone. The case provides sufficient access to all ports, sensors, speakers and camera. It is constructed with TPU hard plastic which makes it highly durable. The case has a soft inlay with rubber gel technology and protects your phone from unwanted scratches. It doesn’t add much weight to your phone and feels a premium on hand. The case offers comfortable viewing and a lifetime warranty to its users. If you want to brag the design of your phone, then EasyAcc’s totally transparent ultra clear case is a right choice for you. 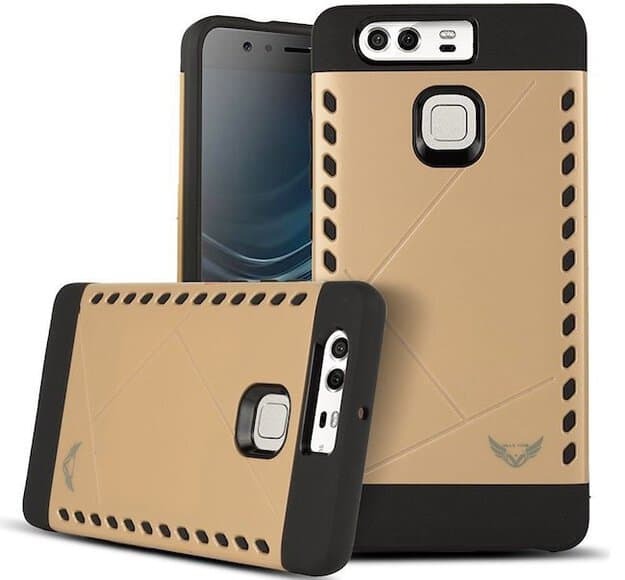 The case protects your phone pretty well as unique design is shock absorbent and prevents any kind of scratches, dust or oil. It covers the buttons smartly and raised edges ensures that the screen stays undamaged even if faced towards the surface. The case is constructed with high quality TPU material which not just saves your phone in case of accidental fall or smashes but also detains the case from turning yellow due to sunlight and high temperature. Users can also enjoy 12+6 Months Warranty provided by EasyAcc. It is another environment friendly and transparent case which allows you to showcase the beautiful design of your phone. The case is built with high quality TPU material and packs advance technology in design. The case is capable of protecting the phone from any smash, bump or scratch. The appearance of the phone barely changes after covering it with the case. Its light weighted and looks premium with your smartphone. The case is easy to fit and remove as it has a flexible body. 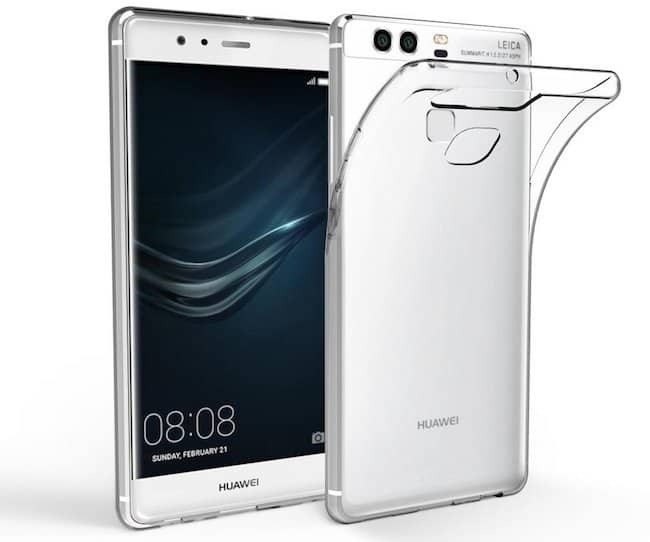 Using a quality phone like Huawei P9 is an amazing experience, but such delicate device needs to be protected in a good manner. 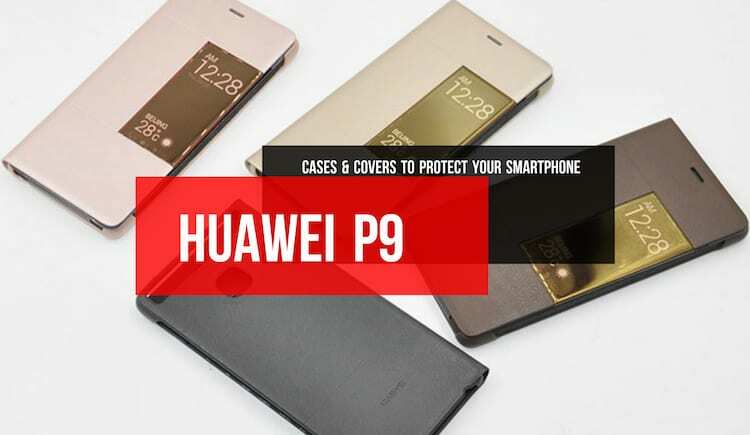 These ultimate Huawei P9 cases can save phone in the case of any sudden fall and avoid scratches and any other sort of damage. These best Huawei P9 cases look stylish and add more value to your phone without adding too much bulk. So what are you waiting for? Select the best Huawei P9 case that suits you best and hurry up because some of them have limited stock.